Engineers, who are often ‘the lead’ on major housing development projects, are being urged to construct climate-smart and resilient homes and buildings in Jamaica, by implementing water-adaptation measures, such as water-harvesting systems and water-efficient fixtures. 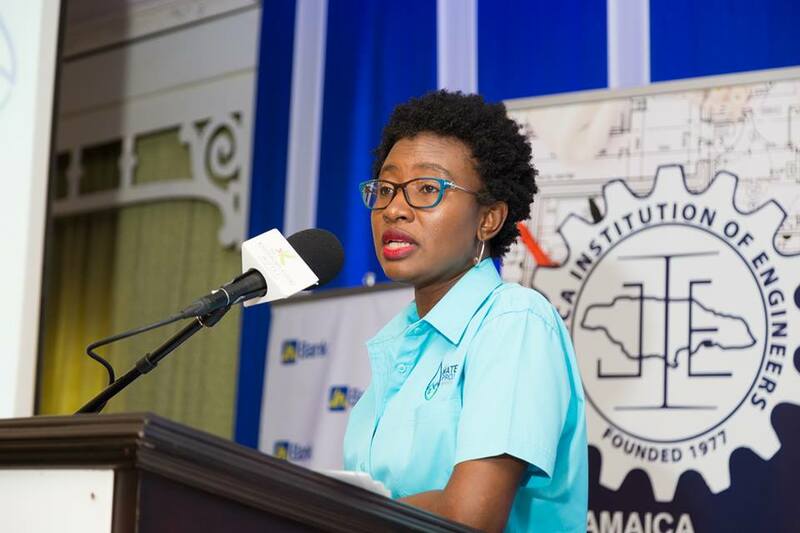 Cicyln Joseph-Johnson, senior project manager at The Jamaica National Group, made that recommendation in her address to participants at Engineers’ Week 2018, which was held by the Jamaica Institution of Engineers at the Knutsford Court Hotel in Kingston, recently. Joseph-Johnson’s presentation focused on the Water Project Jamaica, a four- year venture, which is being implemented by the JN Foundation, in collaboration with JN Bank, the Inter-American Development Bank and the Pilot Programme for Climate Resilience. She argued that “the change” is impacting our water supply and distribution systems that are challenged by inconsistent supplies, which she said underscored the need for implementing water-adaptation measures. In regard to the measures, Joseph-Johnson informed that, “for large construction developments, you may want to look at grey water harvesting; and storing more water, which can be reused,” noting that a study conducted by the National Water Commission revealed that 40 per cent of indoor water use in homes is used to flush toilets and only five per cent for cooking and drinking. The senior project manager said that the water project, which is the first of its kind in the Caribbean, will assist Jamaicans to adapt to climate change and implement measures that will result in more efficient use of water. She said the project has two components, with the first being a loan facility, which is being administered by JN Bank, for the integration of water-adaptation measures in Jamaica housing sector; and the second element focuses on technical assistance and sensitisation.